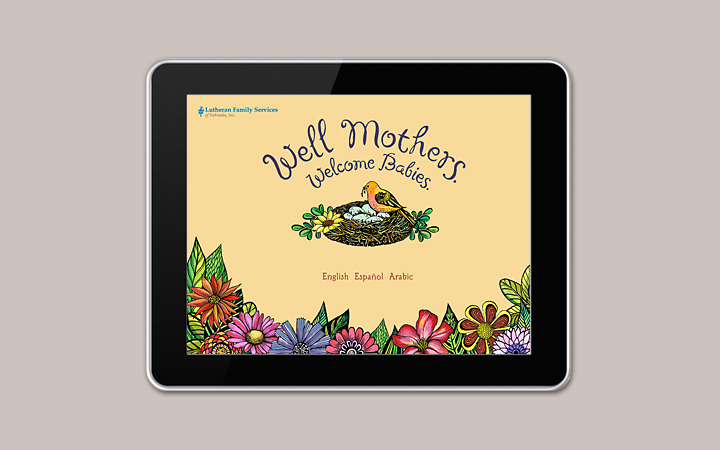 An appropriate online health resource for expecting immigrant mothers and their babies. A microsite to resource healthcare. Lutheran Family Services noticed that Nebraska’s Somali, Sudanese and Hispanic immigrants were delivering babies with very low birth weights. They came to us after they had won a grant to assist pregnant immigrants in western Nebraska to receive healthcare support. 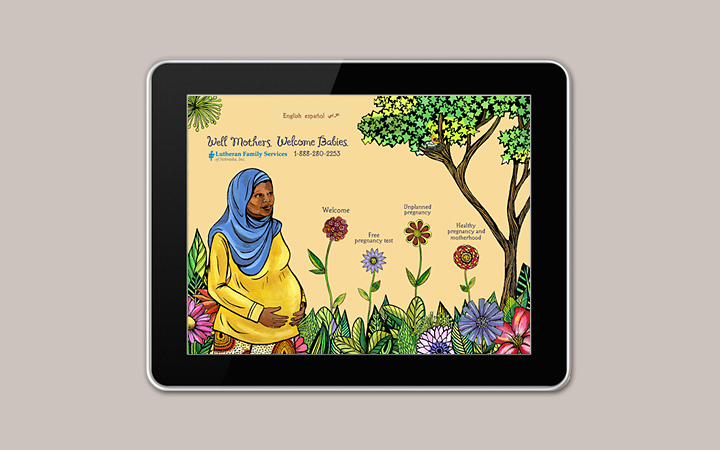 We were asked to create a microsite called “Well Mothers. Welcome Babies” that would guide women to good healthcare for both themselves and their unborn babies. Lutheran Family Services needed to create a web resource to help non-English speaking pregnant immigrants get the healthcare they needed so their deliveries would be safer and their babies would be born healthy. The challenges we great: we needed to communicate with an audience that was new to the country, new to the English language, and new to technology. Not only that, the women we needed to reach came from cultures where women were not often not empowered to be responsible for their own health and well being. To break the language barrier, we designed an image driven site. Researching the countries that the immigrants came from, we gathered images of the flowers, foliage and trees that grew in the area, what the women looked like, and what they wore. Illustrator Gina Triplett created stunning images that could be understood no matter the viewer’s native language. Simple and straightforward copy—translated into three languages—completed the communication goals.